They’re low in calories and packed with protein, but they’re also high in cholesterol. So, are eggs healthy? Read on to find out. Whole eggs are rich in protein, vitamins A, B12, D, E, and K, folate, riboflavin, selenium, choline, and omega-3 fatty acids, which makes them extremely nutritious, yet low in cost. Whether they were scrambled, fried, boiled, poached, or beat into an omelet, chances are that you had eggs for breakfast this morning. They’re an easy, filling, and affordable way to start the day. And even if you don’t like their taste, eggs often are the main ingredient in some of our favorite dishes, snacks, and desserts. But for as long as they’ve been a part of our daily diet, some are still wondering: Are eggs healthy? While the levels of protein, carbs, sugar, calories would make eggs a nutritious choice for most people, medical experts have questioned the high levels of fat and cholesterol. So, what’s the deal? Are eggs healthy? Let’s take a closer look at five health benefits of eggs. #1 Eggs don’t actually raise your cholesterol levels or your risk of heart disease. For years, eggs were labeled as unhealthy because of their high fat and cholesterol levels, but recent studies found that there is no link between eggs and an increased risk of heart disease. In a study published in the Journal of Nutrition, participants’ blood levels of total cholesterol, LDL cholesterol, HDL cholesterol, and triglycerides were not affected by eating an egg a day. In fact, another study published in the journal Metabolism found improvements in cholesterol profiles when cholesterol in eggs are part of a lower-carb diet. For more information, check out Cholesterol in Eggs, Facts Replace Common Myths and Prove Eggs’ Many Benefits. #2. They’re high in nutritional quality, but low in price. East Indians were domesticating wild fowl as early as 3,200 BC, the Chinese were consuming eggs as early as 1,400 BC, and Europeans were using fowl to lay eggs as early as 600 BC. There are nearly 200 breeds and varieties of chickens worldwide. The most common laying hen in the U.S. is the Single-Comb White Leghorn. Whole eggs are rich in protein, vitamins A, B12, D, E, and K, folate, riboflavin, selenium, choline, and omega-3 fatty acids, which makes them extremely nutritious, yet low in cost. (In 2017, the average cost of one dozen grade A large eggs was $1.82, according to Statista.com.) To get their full benefit, however, you have to consume the whole egg and not just the whites. #3. Eggs are not only high in protein, but they have the right amount of essential amino acids. You may believe that all protein is created equal, but that’s not the case. Different proteins have different types and amounts of amino acids, some of which our bodies can’t produce. Those are called essential amino acids. The good news is that eggs have all the essential amino acids and in the right amounts making it among the best sources of protein. #4. Eggs can protect your eyes. Eggs are a rich source of lutein and zeaxanthin, which both help to improve visual performance and protect against age-related macular degeneration, or AMD. For more information on these nutrients, check out Eating for Eyesight: Which Foods Protect Your Eyes? #5. They can help you to lose weight. Because eggs are a rich source of protein and fat, they’re satiating, and eating a breakfast that’s both healthy and filling each day can help you consume less calories later in the day. According to a study published in the Journal of the American College of Nutrition, 30 overweight or obese women were given either eggs or bagels for breakfast. The participants who were given eggs had greater feelings of satiety afterward and consumed significantly less calories for the rest of the day, as well as for the next 36 hours. The participants in the egg group also saw a significant decrease in body weight, body fat, BMI and waist circumference when compared to the bagel group. Are Eggs Healthy No Matter How You Prepare Them? Try poaching or boiling eggs to avoid having to cook them in butter or oil. When frying your eggs, choose oil that remains stable at high temperatures, such as butter, extra virgin olive oil, or coconut oil, to avoid exposure to free radicals. Overcooking eggs can reduce their level of nutrients. However, undercooking them can put you at risk of getting a Salmonella infection. The CDC recommends cooking eggs at an internal temperature of 160 degrees or higher. Choose the right sides. Instead of bacon, sausage or other processed meats that are high in salt, fat, and preservatives, pair your eggs up with your favorite vegetables and whole grain bread for additional protein and fiber. Choose your eggs wisely. Eggs that are raised organically, according to LiveStrong.com, contain more vitamins, healthy fats than conventional ones. Which Types of Eggs are Healthiest? Remember when there were only a few choices to making when shopping at the grocery store for eggs? You pretty much chose them based on size and color. But today, there an overwhelming amount of decisions to make that mostly have to do with how the chickens laying the eggs are fed and treated. Eggs are one of the most common foods that cause allergic reactions in children. According to the American College of Allergy, Asthma, and Immunology, 2 percent of children are allergic to eggs and about 70 percent of children with an egg allergy will outgrow it by age 16. Egg allergy symptoms can be mild, such as a rash and stomach pain, or severe, such anaphylaxis, which can cause shock and become life-threatening. It’s important to read labels carefully before consuming food and to notify all medical professionals of your child’s allergy since some vaccines contain egg protein. USDA Certified Organic: These eggs are produced according to USDA organic standards. Free range: Eggs produced on farms where hens have some access to the outdoors. Pasture-raised: Eggs from hens that have outdoor access and graze mostly on grass and insects. 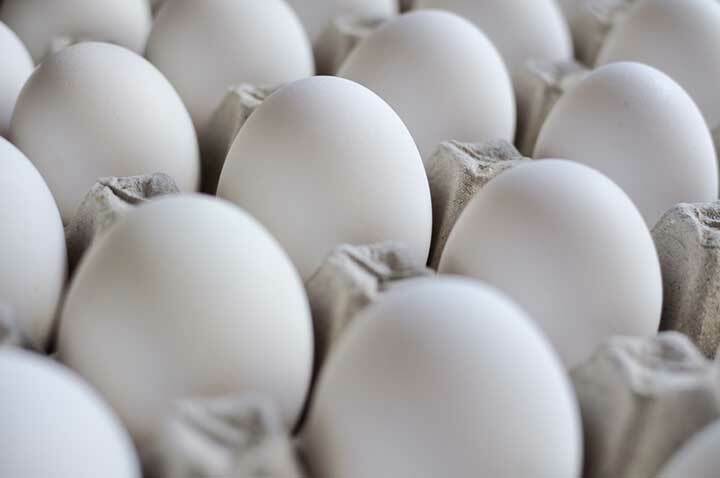 Pasteurized: Eggs that are heated within their shells to destroy bacteria. Enriched with omega-3: Eggs from hens that are fed an omega-3 enhanced diet. Vegetarian fed: Eggs from hens that are fed a vegetarian diet without any additives. Hormone-free: All eggs sold in grocery stores are free from added hormones as stated by U.S. federal law. Fertile: Eggs that are fertilized, unlike commercially raised eggs. American Humane Certified: Eggs produced on farms that follow standards for cage-free, enriched colony and pasture environments. Humane Farm Animal Care: Eggs produced on farms without antibiotics or hormones and with sufficient space for hens to engage in natural behavior. According to a study conducted at Penn State, pasture-raised eggs contain higher amounts of vitamins A, E, and omega-3 fatty acids than eggs from hens that are fed a commercial diet. Another study published in Nutrition found that pasture-raised eggs also contained as much as four times the amount of vitamin D than eggs produced by hens raised indoors. There’s also evidence that eggs produced by hens that are fed omega-3 supplements are richer in omega-3 fats than conventional eggs, thus lowering blood glucose and LDL cholesterol levels and increasing HDL cholesterol levels. So for those looking to increase their omega-3 fat intake, this may be a great option. Other labels may a bit misleading. For example, vegetarian-fed eggs may sound like the healthier and more attractive option, but because chickens are omnivores, some experts think this label is more of a marketing tactic. According to an article published in the Washington Post, chickens that are fed a vegetarian diet may lack the nutrients they need to stay healthy and they may actually start pecking at each other to fulfill this need. Choose the healthiest eggs that you can afford. If the cost of pasture-raised eggs is out of your budget, choose eggs that are labeled as “cage-free” at the least. Don’t worry about the color of the egg. Brown eggs have the same nutritional value as white eggs. Shop locally, if possible. Smaller farms are more likely to be more responsible with the care of their chickens. If you don’t live near a farm, ask your local grocery store whether they carry any eggs from local farms. Ignore certain labels. As mentioned earlier, labels such as “vegetarian-fed,” and “hormone free” don’t carry much nutritional weight to them. add, age related macular degeneration, allergic reactions, allergy, allergy symptoms, amd, amino acids, antibiotics, asthma, b12, bacteria, bmi, breakfast, calories, children, cholesterol, cholesterol levels, choline, coconut oil, cooking, diet, egg allergy, essential amino acids, eyesight, fiber, folate, food, free radicals, glucose, hdl, hdl cholesterol, hdl cholesterol levels, health, healthy fats, heart disease, hormone, infection, ldl, ldl cholesterol, ldl cholesterol levels, Lose Weight, macular degeneration, metabolism, nutrients, nutrition, nutritional value, omega 3, omega 3 fats, omega 3 fatty acids, organic, pain, preservatives, protein, recipe, risk of heart disease, selenium, stay healthy, stomach pain, studies show, sugar, supplements, total cholesterol, Triglycerides, vegetables, vegetarian, vitamin, vitamin d, vitamins, whole grain, whole grain bread, yogurt, zeaxanthin. This is ridiculously inaccurate. Eggs do not contain 28g of protein, 75g of fat, and 36g of carbs. That can’t possibly add up to the 72 calories they produce. You’d better double check the math on that one. According to the link you provided, it’s more like 7g, 5g, <1g. Some of the numbers were cut off for some reason, sorry about that! It has been corrected. I realize I’m very fortunate to have access to organic, farm-fresh eggs. Eating two boiled eggs every morning helps me maintain my weight, have more energy, and without affecting my cholesterol. A good balanced breakfast is very important to me; I also have fruit, yogurt and other healthy items with my eggs. Will was actually correct. After he pointed out the errors, the article was updated with the correct numbers. Thanks for reading! Eggs are the highest food source of choline. Harvard University Medical School did a study linking choline (2 &1/2 eggs per week) with aggressive rates of advanced prostate cancer in men. Additional studies followed. Extra virgin olive oil does not remain stable at high temperatures. It should not be used in cooking. Is the the temperature required to fry an egg too high to use virgin olive oil? The doug Kauffman article rebukes that Harvard study too. Judy K is right. Extra virgin olive oil is not stable at high temperatures and is best eaten raw drizzled over salad or soup etc’. Pomace oil is a decent alternative or use sunflower, or vegetable oil. Ghee is thought to be a better option than butter so take your pick. Coconut is a fab fat to cook eggs in. I use this for my fried eggs. I thought you might be interested in this article on https://universityhealthnews.com: Are Eggs Healthy?